“I just played a Bach recital on your new instrument in Birmingham, Alabama, and I was thrilled about your artistic overall accomplishment in that particular situation. “The organ is simply magnificent for so much literature, and even my JSB love was ‘transmitted’ to the audience. It has an overall even Tutti, a warm sound, not too much for the room, just ‘right’! “Of course, my personal ideal situation is mechanical action and a straight pedalboard. But it was a lot of fun to interpret JSB on your amazing artistry in organ building. 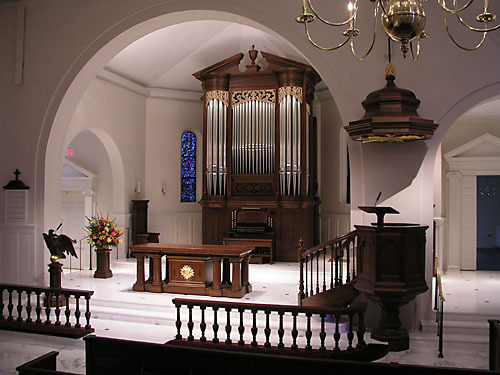 “I want to let you know how very much I enjoyed playing the wonderful instrument at Independent Presbyterian Church in Birmingham, Alabama. My recital in the 2013 November series was last Sunday, Nov. 3. Fortunately I arrived there early enough to have many hours of practice for a program of French romantic music along with one German composition, the Karg-Elert Fugue, Kanzone und Epilog. This work adds violin, played beautifully by Daniel Szasz, and fine women’s voices of the IPC choir at the close of the composition. Many people from the audience spoke to me afterward about how much they enjoyed this work, not having heard it before. “How wonderful to have so many choices of colors, quantity of foundation stops and reeds. All of this is made especially effective by the shutters of the enclosed divisions which really close down the sound. It was possible to have such even gradations of sound which greatly enhanced the musical result. 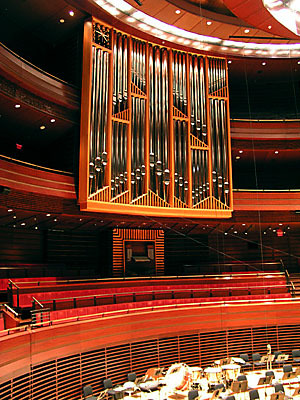 Just a quick note to say how much everyone, including myself, enjoyed playing at Verizon Hall this past Saturday for the special organ event. Quite a few people played who had no familiarity with that instrument, and as Caroline Robinson and I were the “tour guides” throughout the day of practice sessions, we had a good view of their reactions. To a person, everyone took to the instrument easily, and got some amazing sounds given the variety of selections and performers. The instrument’s tonal flexibility made everyone’s job so much easier. The 4' flute on the solo remains my favorite stop! Once again, thanks for providing Philadelphia with an outstanding instrument that I consider myself so privileged to play. 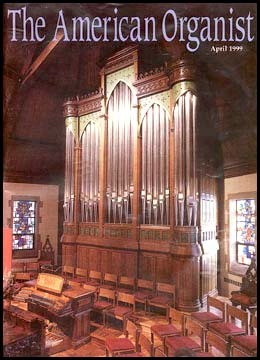 Also, I want to say that I recently had the opportunity to play the organ at St. David’s. What a gem that is!! We need more organs like that in Philly area churches. There’s not a stop on that organ that isn’t exactly what it should be, and the ensemble is amazing. It sounds like an organ twice its size. “This organ brims with inspiration. Visually, the creative adaptation of the traditional French choir organ creates a comely solution for this setting; the turned tower posts are especially well-crafted and thought out. The specification is refreshingly gimmick-free: stops say what they are, are found in traditional places and accomplish expected roles. The bold ensemble overcomes the rotten acoustics, not with brutality but through elegant force. Perhaps it is better to say that its grandeur is a still more remarkable attribute. 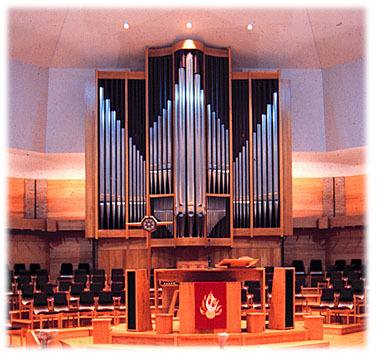 “The instrument in Elliott Chapel at Presbyterian Homes is an absolute gem, a mechanical action instrument of great artistic integrity and versatility. “To date, there have been over 100 recitals performed by international and national artists. The instrument has been highly lauded and acclaimed by everyone who has had the privilege to play it. “By the way, the organ still sounds magnificent. I am retired now, but still practice on the instrument regularly. I revel in the wonderful sound in each practice session. “I want to convey my enthusiasm and admiration for your instrument at John Ourensma’s church in Battle Creek, which I had the pleasure of playing this past weekend. I had been looking forward to that recital, as I had never had the chance to play one of your instruments. As one who has always had an interest in the tonal/mechanical side of the organ, I greatly admire and appreciate the superb job you have done in what was undoubtedly a rather complex rebuild. You and your voicer have done a fabulous job in scaling and blending pipework of many vintages. 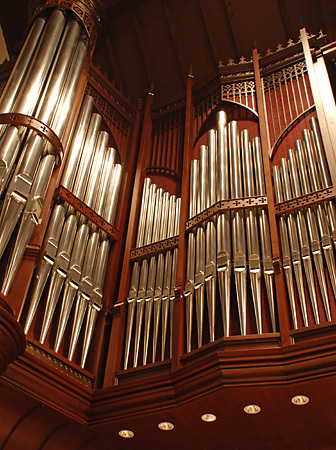 The organ is really quite thrilling, and full of beautiful soundsGt. Flute Harmonique is one of the best I've ever heard. John also took me next door to see your instrument in the chapel of the Cong. Church next dooranother gem. “I have long admired your work dating back to the first time I heard and played a Dobson in the studio of St. Olaf College. It was a refreshing joy to hear and play. 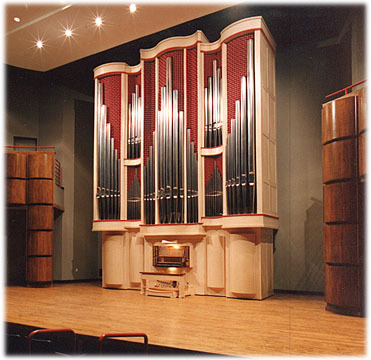 “It is a real pleasure to express to you my genuine enthusiasm for the organs you build. “As you are aware, I have been presented in recitals on several of your instruments, and I have heard others. “First and foremost, there is a consistency of beautiful sound in all of your instruments. This should always be the main consideration for anyone purchasing an organ. Too often people get caught up in ‘gadgets’ and lose sight of the fact that such things don’t produce the sound. “Furthermore, I have always found your workmanship to be superior in every way, from the smallest detail to the largest. You present the highest quality in every area. And your key actions are a joy to play. “Your organs are truly ‘musical’ instruments, something that I really appreciate as an organist. Your specifications  regardless of the size  are always thought out from a musical standpoint as well as ‘by the book‘, and designed to give the maximum flexibility to the performer and the music. “The listener benefits from all these things also! “I play dozens of organs by different builders every year all over the world. Many are very fine, satisfying, and thrilling. But I have yet to play any that would relegate your work to second place. “A final thing I wish to mention is how each and every organ of yours that I have experienced fits its surroundings so perfectly. This is no easy task for a builder, and one that many do not always achieve. Just another example of your super dedication to detail. “As you are becoming more and more known and respected as a builder, my only regret is that I am in the process of retiring as a performer and thus won’t have the joy and privilege of playing your instruments in the future. 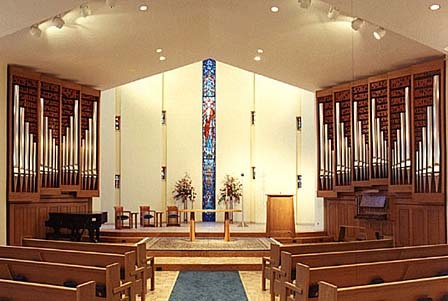 “I am an architect, recently retired, with nearly five decades of work in church design and buildings for music. I and my firm, Sövik, Mathre Sathrum, Quanbeck, Inc. had something of a reputation. 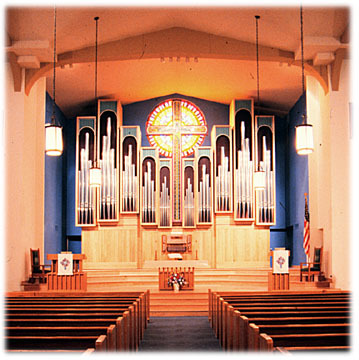 In the course of my years I was associated with eight or ten pipe organ builders, including all those who were regarded as leaders in the field. “Among the projects were a sequence of four collaborations with Dobson, beginning with a very early project and including the instrument that I hear every Sunday at church. It is no surprise to me that in his maturity the most prestigious and honorable commissions should be attracted to his company. From March 1999 until it was overrun by spam in May 2006, our website had a Guestbook. The comments recorded there are now preserved in a .pdf file for your reading pleasure.